at Four Pegs Lounge on Goss Avenue. Flying Out Loud, a monthly Literary reading event will Celebrate Women’s History Month by featuring Women Who Write, a non-profit organization for women writers in the Louisville area. 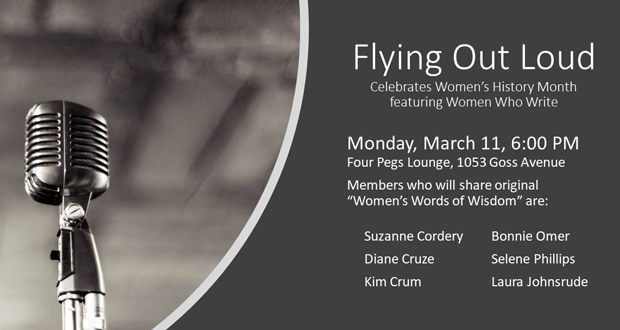 “Women’s Words of Wisdom” will showcase six WWW members who will be reading their works. We hope you will make plans to attend.